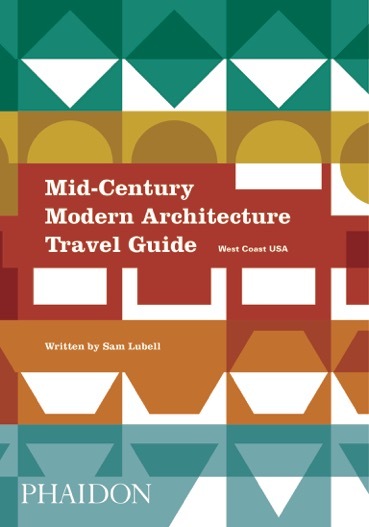 Join us for a presentation by Sam Lubell on his latest book Mid-Century Modern Architecture Travel Guide: West Coast USA (Phaidon) at Iron Triangle Brewing in Downtown Los Angeles. Sam’s book is a must-have guide to one of the most fertile regions for the development of Mid-Century Modern architecture. This handbook—the first ever to focus on the architectural wonders of the West Coast of the USA—provides visitors with an expertly curated list of 250 must-see destinations. Discover the most celebrated Modernist buildings, as well as hidden gems and virtually unknown examples—from the iconic Case Study houses to the glamour of Palm Springs’ spectacular Modern desert structures. Much more than a travel guide, this book is a compelling record of one of the USA’s most important architectural movements at a time when Mid-Century style has never been more popular. First-hand descriptions and colour photography transport readers into an era of unparalleled style, glamour, and optimism. Sam Lubell, a staff writer for Wired, has written seven books about architecture. He was the West Coast editor of The Architect’s Newspaper for eight years, covering architecture from Southern California to Seattle. He has written for the New York Times, the Los Angeles Times, Los Angeles Magazine, Wallpaper, and Architectural Record, among many others. Darren Bradley is a San Diego-based architectural photographer with a passion for mid-century modern architecture and design. In addition to photography, He is a regular supporter of historical preservation efforts, volunteering for such organizations as the La Jolla Historical Society, DOCOMOMO, and and Palm Springs Modernism Week. Darren is bilingual in French and attended the Sorbonne at the University of Paris, where he received a degree in history.